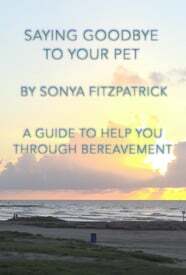 Our pets are part of the family and losing one can be as difficult as losing any other family member. I made this video to bring comfort and understanding to where our pet has gone when it passes over. Making the Decision, Saying Goodbye, The Spiritual Realm, Grieving, Reincarnation, and Adopting a New Pet.